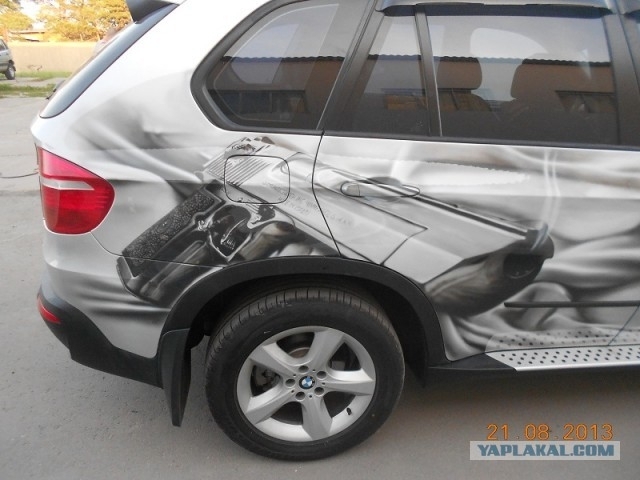 Here is a photo story of how a picture is applied to a car. 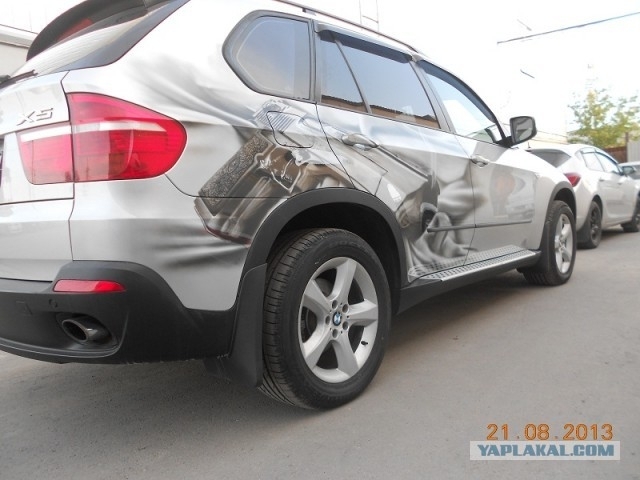 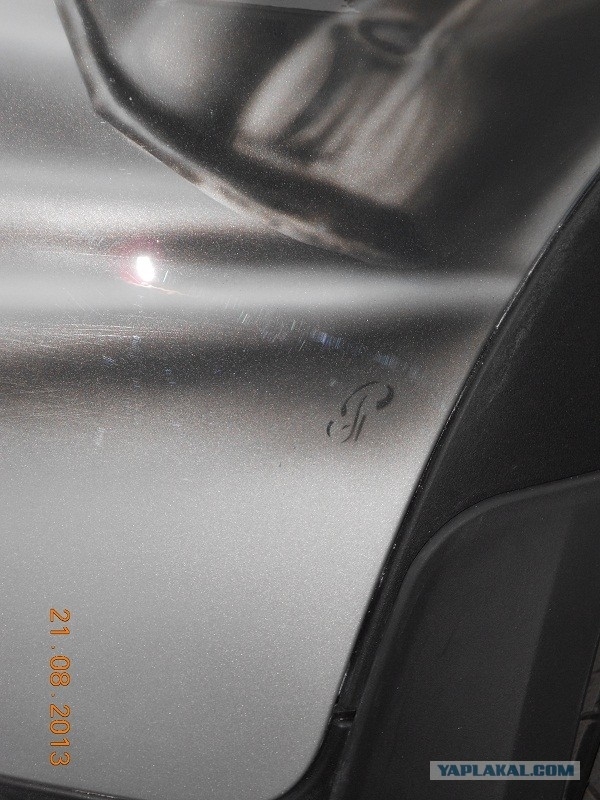 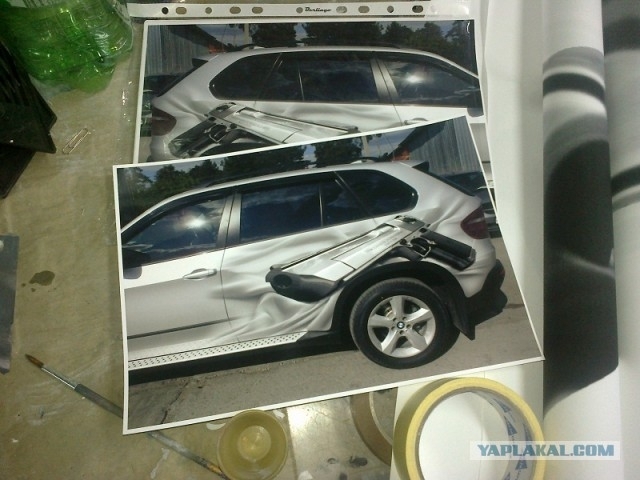 First of all, a picture is discussed with a client and applied to a car in Photoshop. 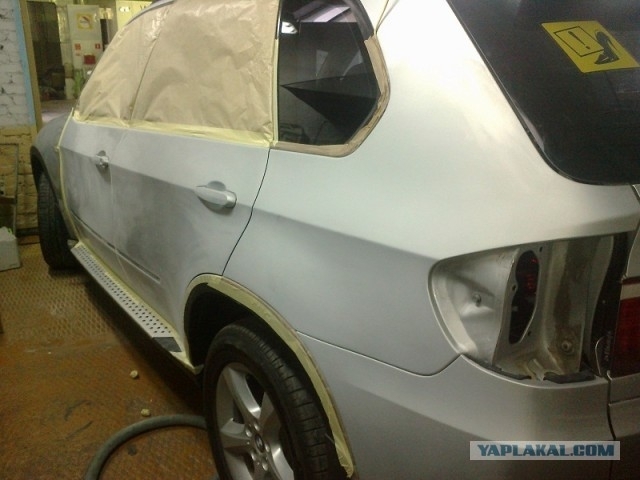 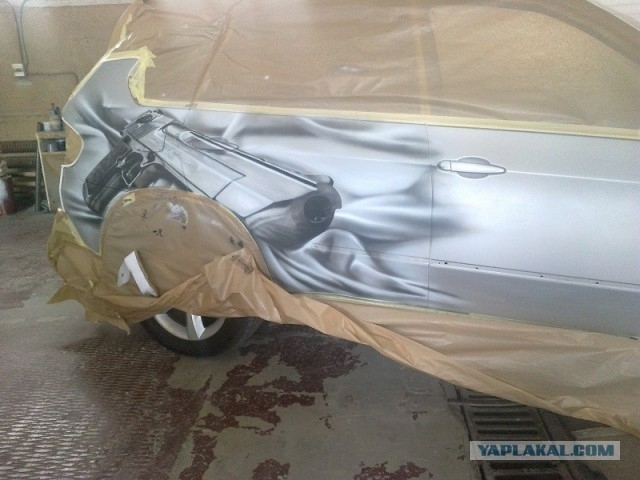 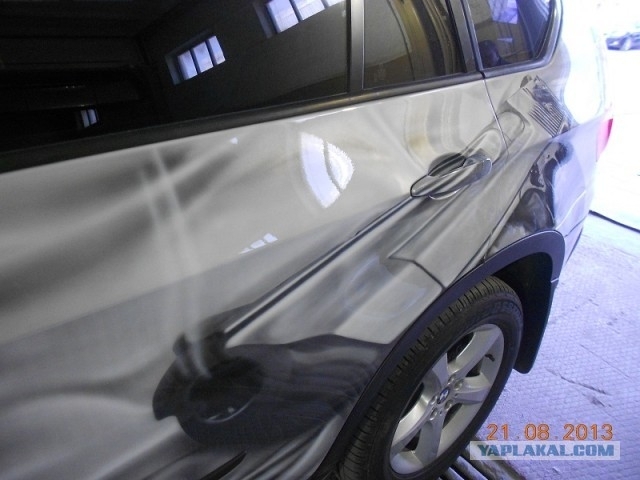 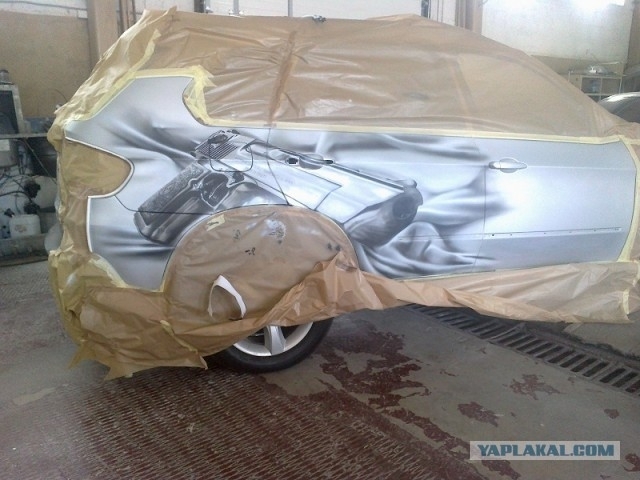 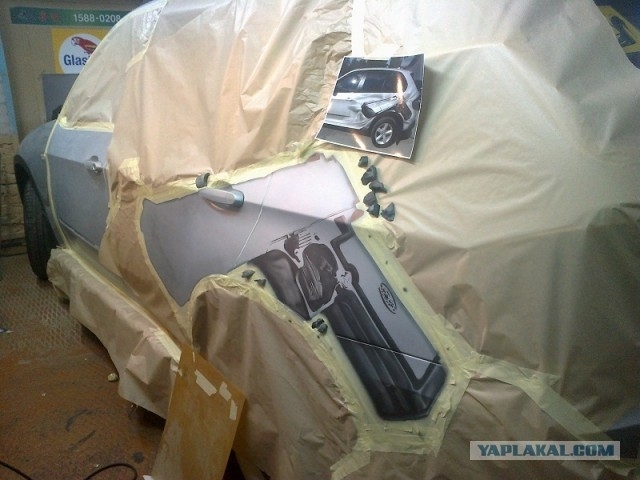 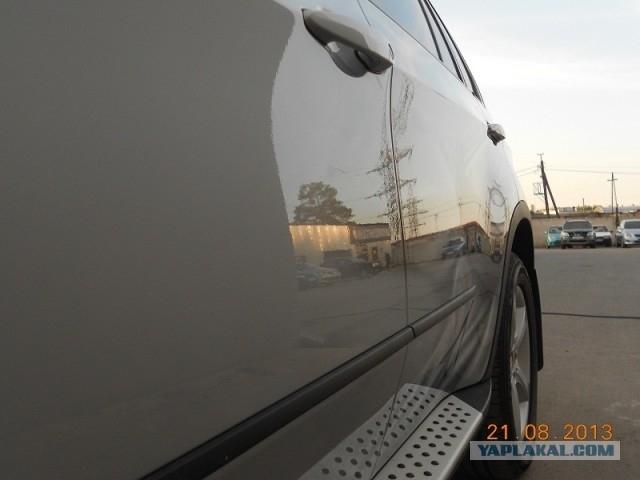 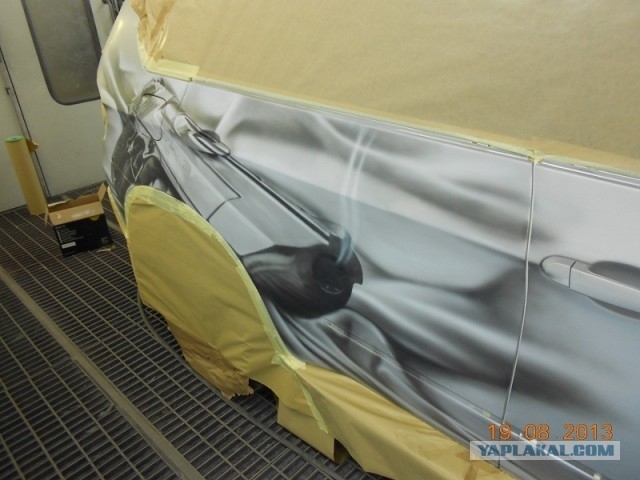 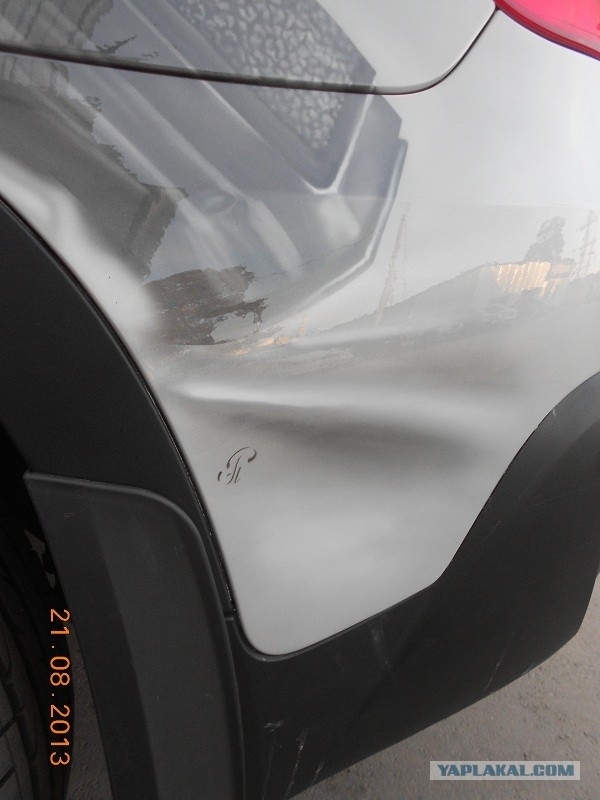 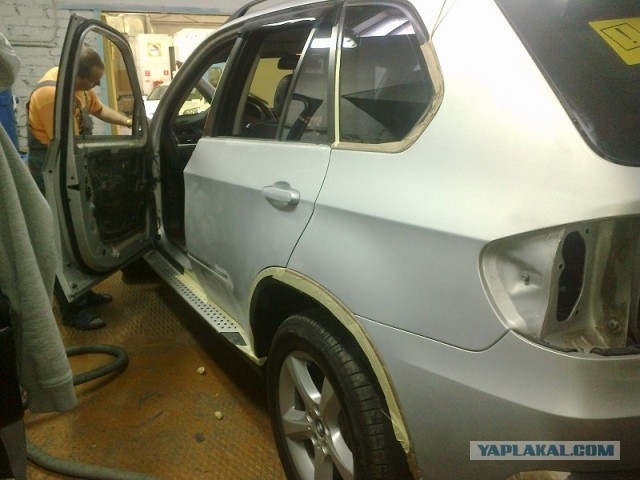 Then the surface of the car is prepared to appliance of the picture. 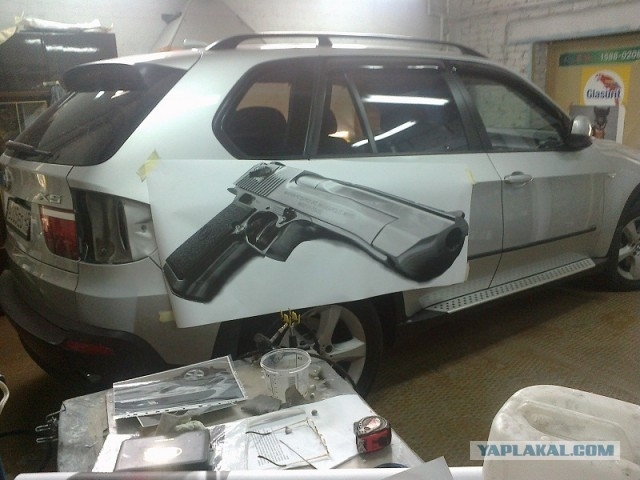 It should be matte and adhesive to paint. 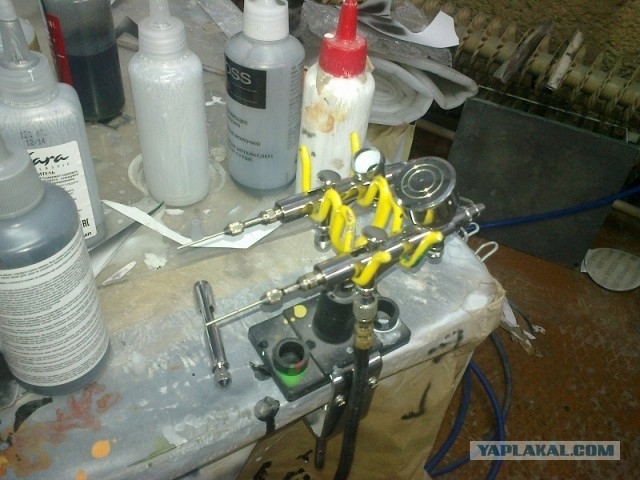 Some elements are to be dismounted to provide full access to the area for aerography. 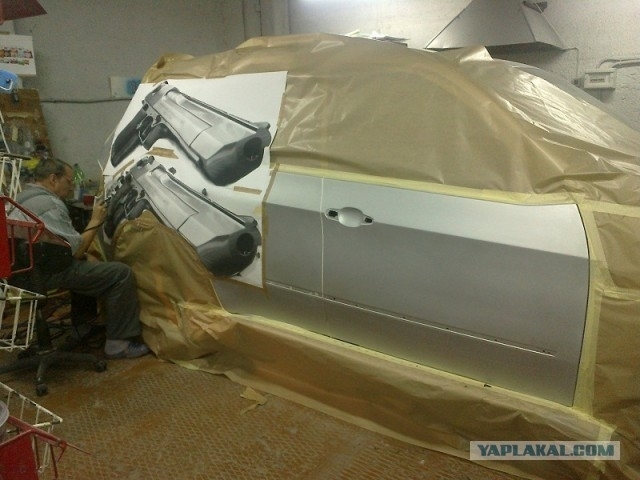 Other parts of the car are to be covered. 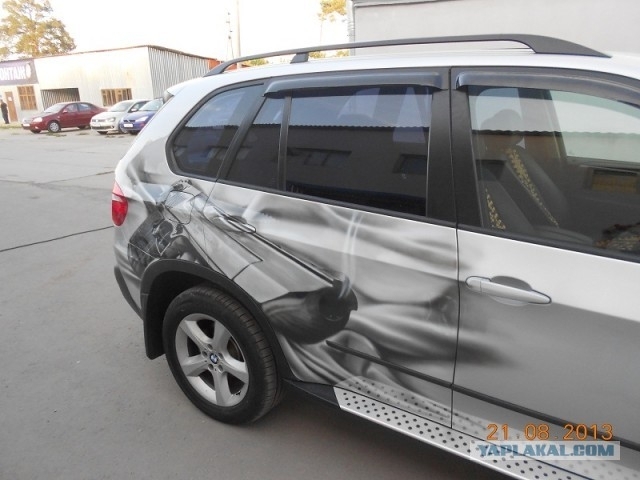 Such 1:1 layout is printed to place the picture on the car properly. 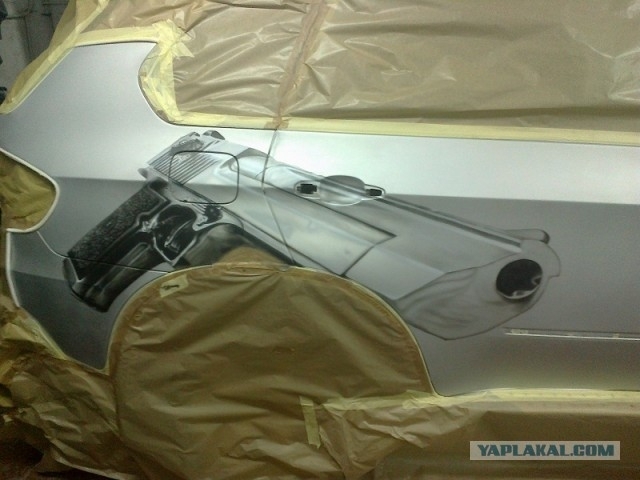 It will serve as a stencil. 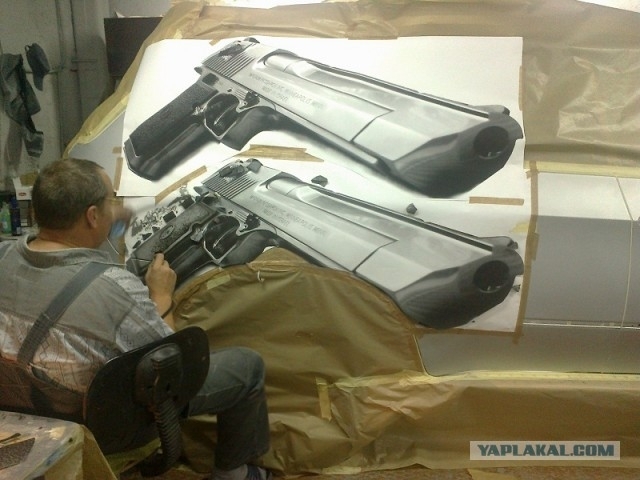 Though masters usually do not use stencils and draw pictures by hand, this particular picture requires use of a stencil cause it has many straight lines. 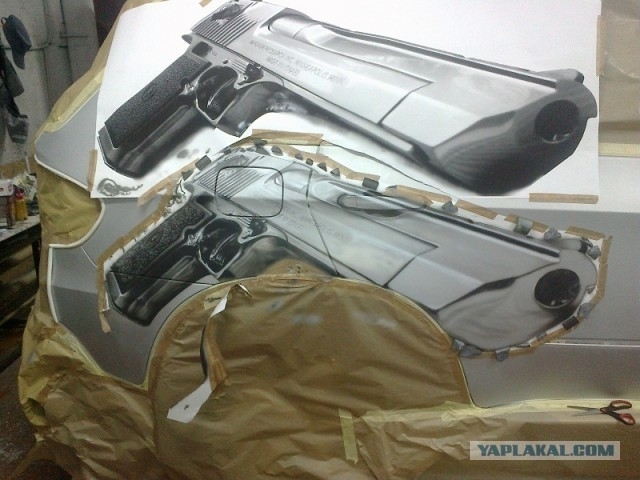 Drawing the background by hand. 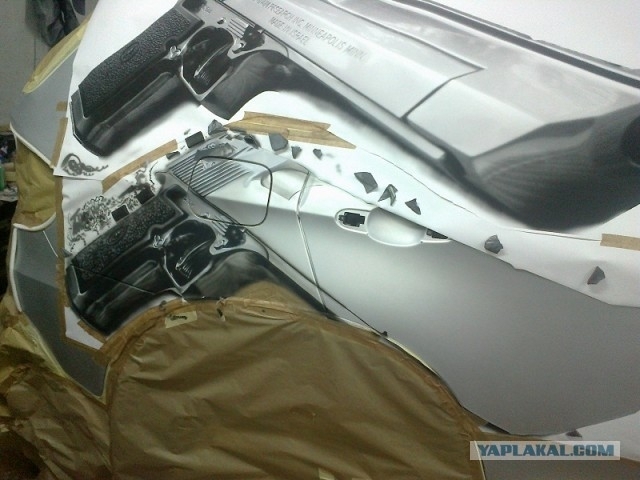 To protect the picture from dust they cover it using magnets. 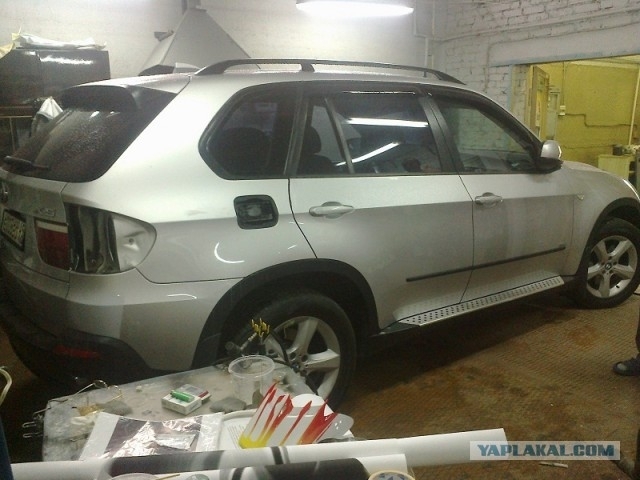 The picture is better to be observed from afar so the car is often moved to a larger garage. 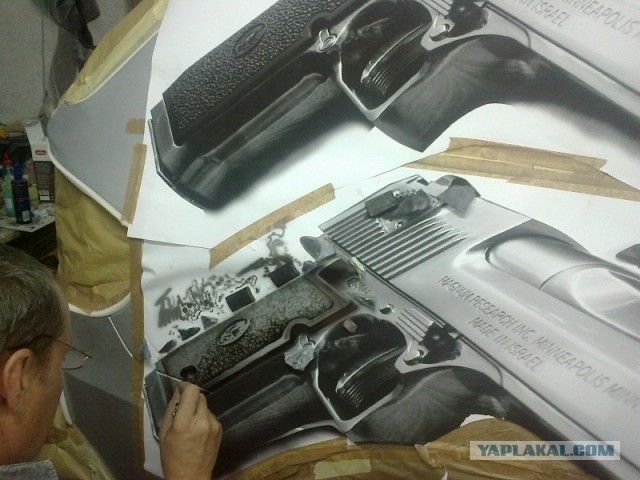 Some smoke from the barrel of the gun. 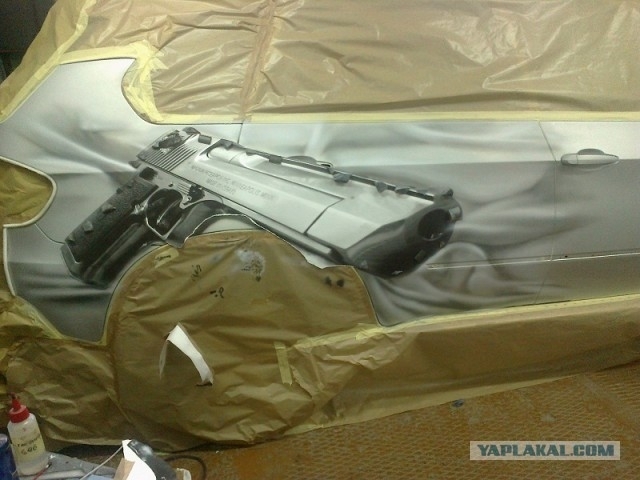 2,5 layers of varnish are applied. 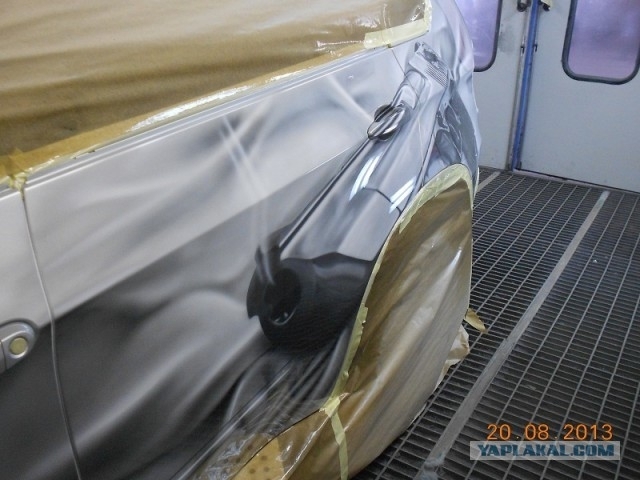 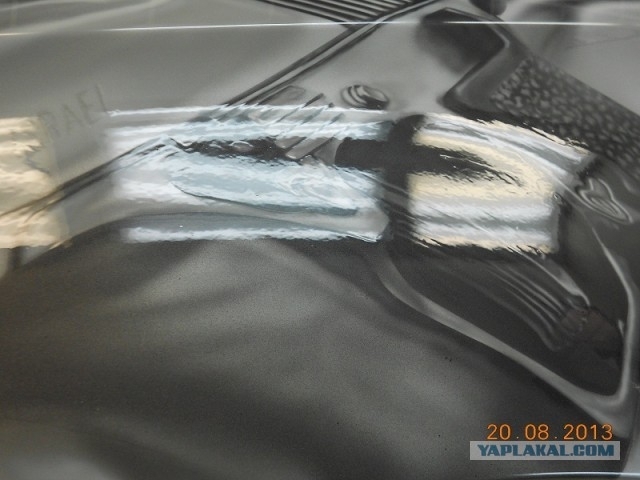 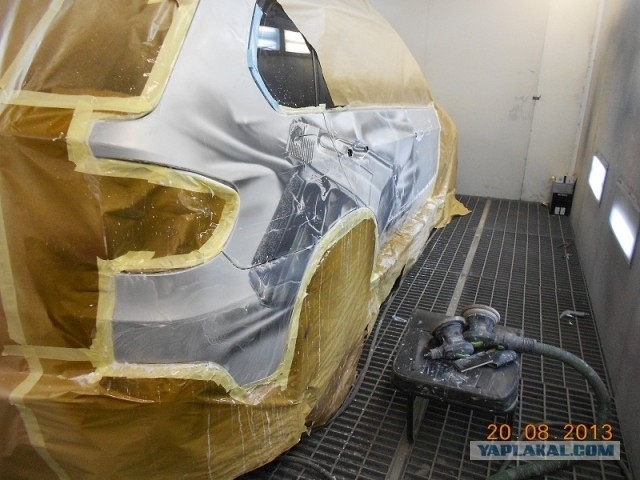 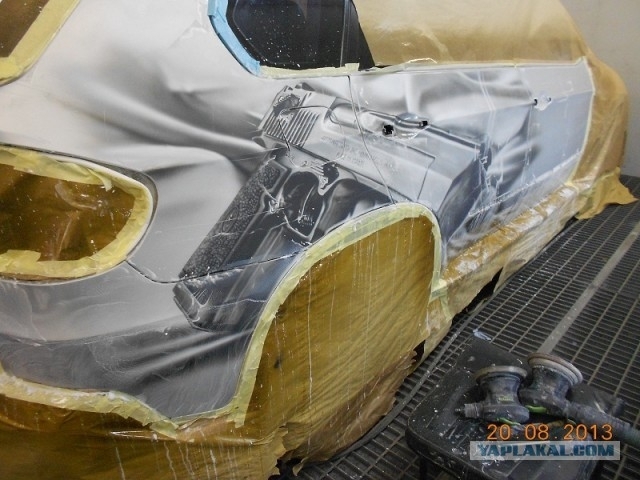 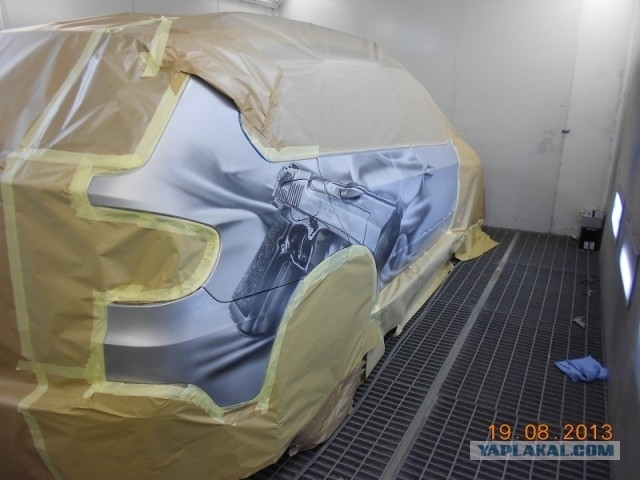 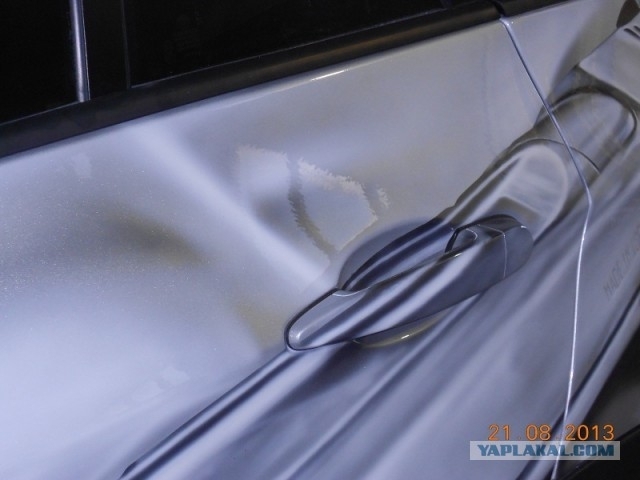 Ordinary cars are covered with 1,5 layers of varnish, but this case is more complicated. 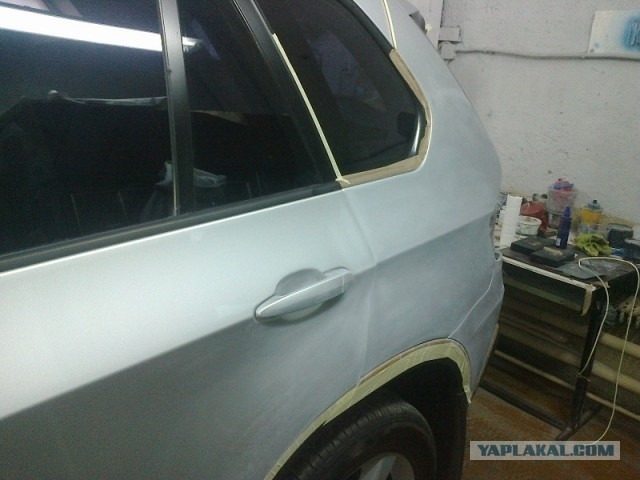 The varnish is dried and sand-papered. 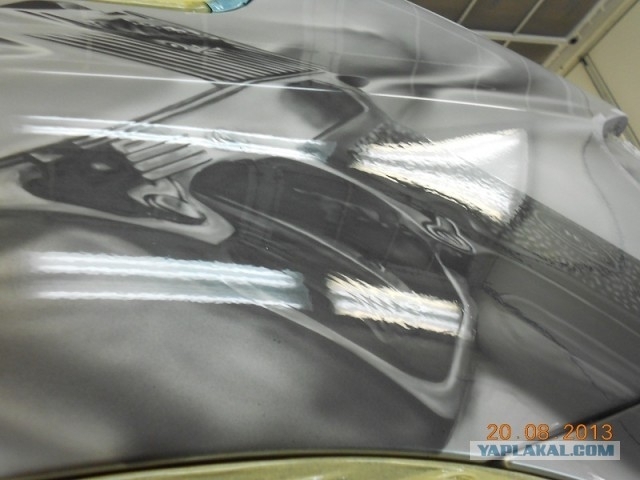 The surface should be ideally smooth. 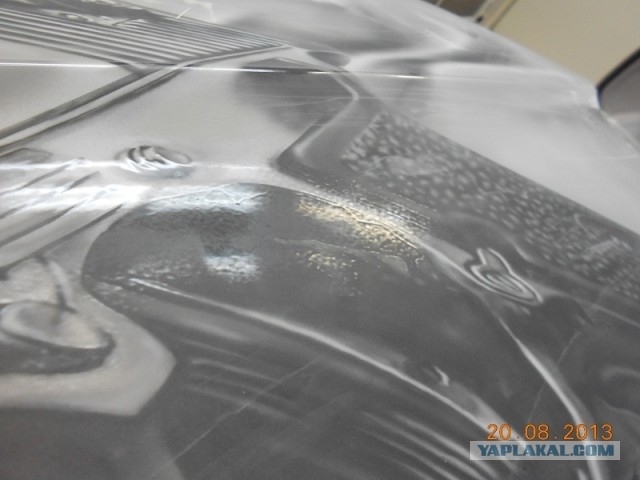 1,5 more layers of varnish are applied to the smooth surface. 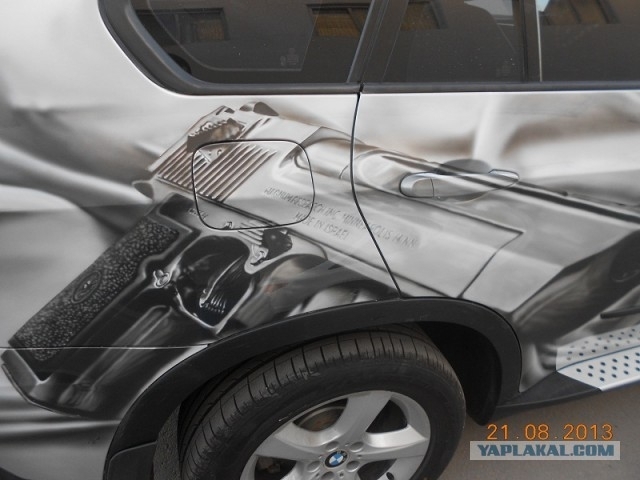 And letters on the gun, of course. 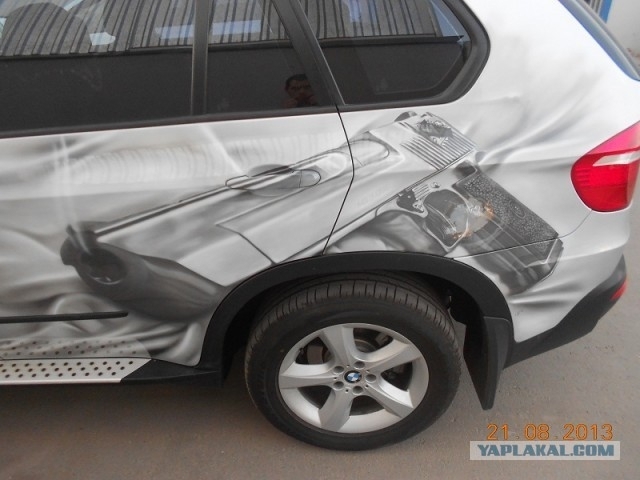 Rather “Gangsta” judging by choice of weapon. 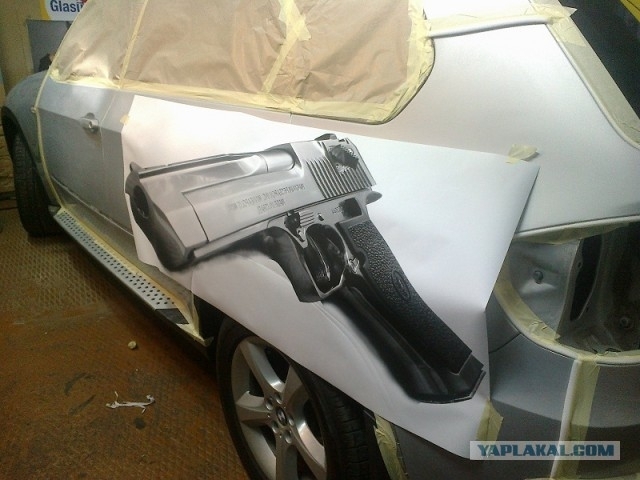 Redneck would have painted something else. 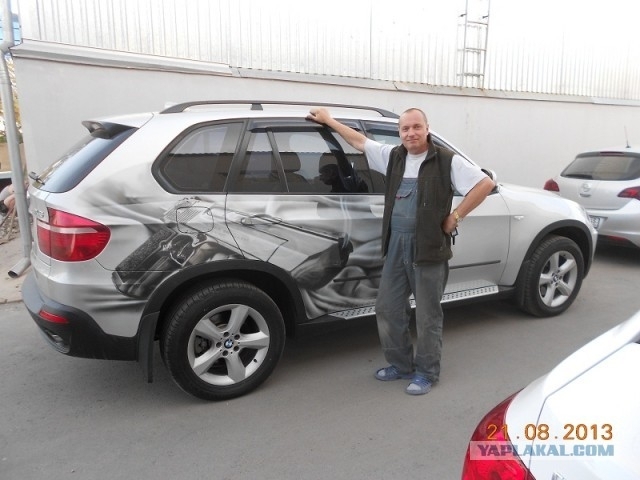 He probably drives around listening to Vanilla Ice.